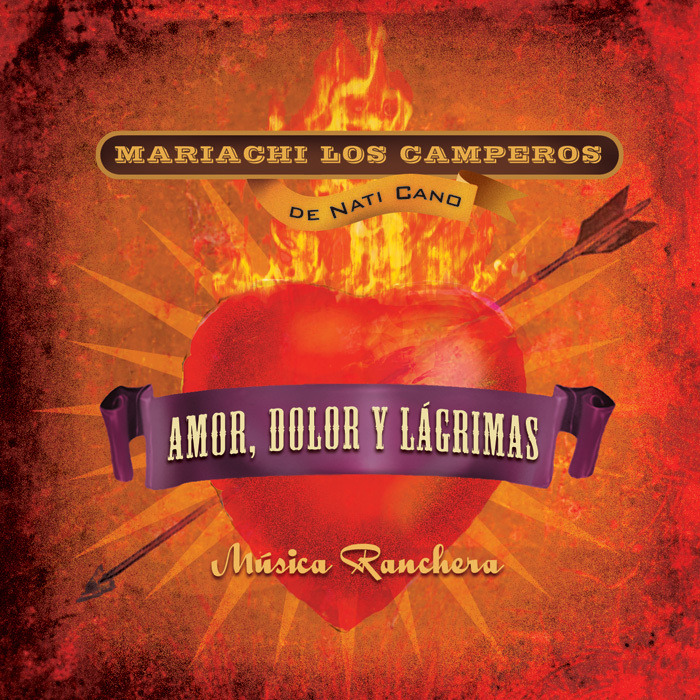 In February 2009 Mariachi Los Camperos de Nati Cano won the Grammy for best Mexican regional album. When asked on a radio show how he felt about reaching the highest point of his career, Nati Cano promptly replied: "I did it to preserve, to rescue so many beautiful songs. I never thought that we would be nominated for a Grammy. I did it as a tribute to Mexico, to its people, who are the ones who keep these beautiful songs alive. We only did what we were supposed to do and we are very proud." Natividad "Nati" Cano was born in 1933 to a family of day laborers and folk musicians in the small town of Ahuisculco, a rural outpost in the western state of Jalisco, Mexico. 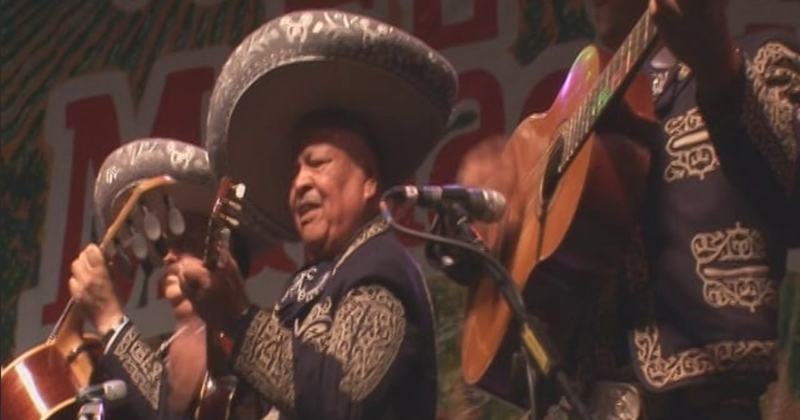 Nati Cano's father, Sotero, was a self-taught musician who played stringed instruments common to the early mariachi ensemble, such as the guitarra de golpe, the vihuela, and the guitarrón. Nati recalls that at the age of six he began to play the vihuela, a small, five-stringed, strummed guitar-like instrument with a convex back. At this youthful age, he spent nights and weekends with his father and grandfather performing in local cantinas, where he recalls the prejudice that many mariachi musicians faced due to their perceived lower-class status. At the age of eight, Nati studied violin in the Academy of Music in Guadalajara, Jalisco, for six years. He toured the country at the age of fourteen with a classical chamber orchestra while continuing to develop his understanding of rural and regional Mexican folk music. This experience undoubtedly broadened his appreciation for the mariachi music of his birthplace and contributed to his lifelong success. By the 1950s, mariachi groups adapted to the distinctive sound of the contemporary mariachi sound we are familiar with today, which includes the refined melodies of the trumpets and the broadened repertoire from other regional styles. Some of these styles include regional sones, huapangos, rancheras, romantic boleros, corridos, and other musical forms not native to Mexico, such as polkas, waltzes, schottisches (chotis), and cumbias. During this time, Nati moved to Mexicali, a town in Baja California just miles from the US-Mexico border, to perform with Mariachi Chapala. Although he was the youngest member of the group at the time, his enthusiasm and musical knowledge soon impressed his elders enough to make him the musical arranger. In 1957, Nati pushed for Mariachi Chapala to relocate to Los Angeles where they performed regularly for a large Mexican clientele at El Granada, a combination bar and restaurant. Nati recalls feeling that he and his musicians could not enjoy the music artistically because they were compelled to fulfill a musical purchase. In this situation the client would pay the mariachi group per song, and in many instances, this required repetitions of the same song. This experience marked Nati's desire to take mariachi music out of the stereotypical bar scenario and onto a stage as a unique musical art form. In the early 1960s, Nati left Mariachi Chapala to join one of the two other mariachi groups in Los Angeles at the time—Mariachi Águila, a high-profile group that toured with popular Mexican artists and performed regularly at the prominent Million Dollar Theater in the heart of Los Angeles. Mariachi Águila later became Mariachi Los Camperos, and upon the unfortunate death of the director of Mariachi &Acute;guila, Nati became the musical director of the group. Nati's directorship influenced a change in attire from the simple, black traje de charro to a more elegant and refined white jacket. Mariachi Los Camperos quickly gained recognition in the community, throughout the USA, and in Mexico. In 1968, Nati opened La Fonda de Los Camperos, a restaurant on Wilshire Boulevard in Los Angeles, CA, that features live performances of Mariachi Los Camperos de Nati Cano. Mariachi Los Camperos de Nati Cano became an emblem of mariachi performance. Nati placed great attention on innovating early regional songs with complex rhythm patterns and harmonies while preserving the integrity of traditional music and the essential mariachi sound. 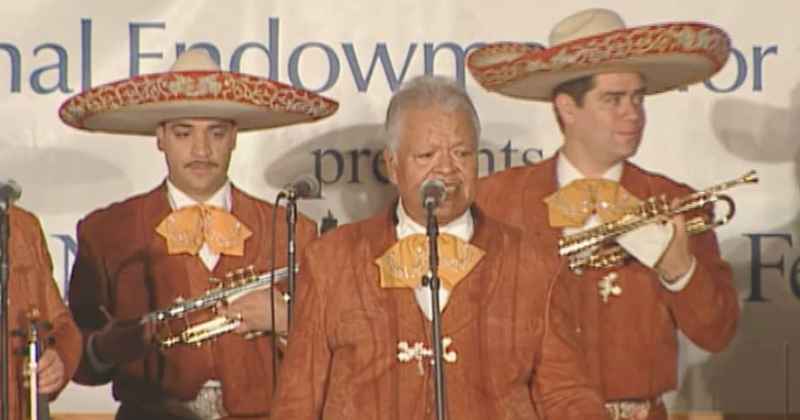 He realized the potential of mariachi music to reach people of all cultures, and with the growth of the Latino population in the USA, the popularity of live mariachi performance continued to increase. Parallel to their success among Mexican and non-Mexican populations throughout the Americas, Mariachi Los Camperos de Nati Cano also achieved musical acclaim for their participation on Linda Ronstadt's Canciones de Mi Padre, released in 1987. In addition, Mariachi Los Camperos released two albums on the Smithsonian Folkways Recordings, ¡Viva el Mariachi! (2002) and ¡Llegaron Los Camperos! (2005), both of which contain excellent examples of Nati's negotiation between preservation and innovation of the mariachi tradition. In 1989, Nati received the National Heritage Fellowship of the National Endowment for the Arts, the USA government's highest honor in traditional arts, in recognition of his life's work. This marked the beginning of the most significant period in Nati Cano's legacy, and since then, he has further devoted his efforts to the preservation of the mariachi tradition and the education of young mariachi musicians. Nati has continued performing and committing his talent to the musical advancement and cultural visibility of mariachi music both within the USA and abroad, and once again he has been awarded one of the most coveted awards in the music industry. However, when asked if the mariachi has finally reached its zenith Nati Cano responded, "This is only the beginning of a new era in mariachi music. There is still a lot to do, and I think that mariachi music has not yet reached its full potential." Nati Cano's Mariachi los Camperos perform at the Viva el Mariachi Festival in Fresno, California, 2007. Nati Cano's Mariachi los Camperos performing Mexico lindo at the Smithsonian Folklife Fesitval 2004.